Please email office@lingohub.com once you signed up, they will shave the $250 off your first month! It is better to spend money directly on quality translation rather than waste it on inefficient processes. Lingohub helps you attain lean translation management that cuts down on overhead and frees up resources. A comfortable online platform, easy to use interface, API access, command line interface and a wide array of file support make Lingohub your ideal partner for web or mobile app localization. 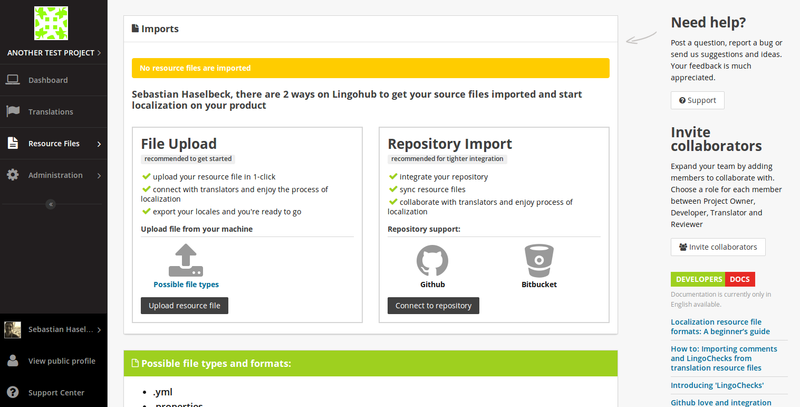 Two-way Github sync is already built into Lingohub, making your entire localization workflow as easy as pushing a button. Importing and exporting translation resource files has never been that easy. We support all major platforms and formats and a variety of rules how to handle your repositories and file updates. Sign up for a free trial, and if you get in touch with us and mention AppBay, we give you an extra free month of our Plus pricing plan. Just email us at office@lingohub.com once you signed up. We're always there for questions.